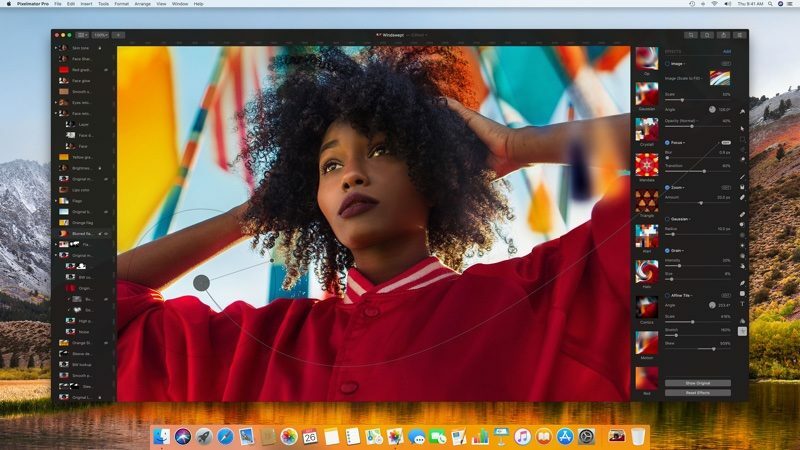 Pixelmator Pro for Mac, Pixelmator's higher-end editing software, was today updated with support for masks from Portrait Mode photos. When you open up a photo taken with an iPhone that offers Portrait Mode, Pixelmator Pro will open the photo itself along with a useful layer mask for doing things like swapping out the background in just a few minutes. The portrait mask uses the depth information from the iPhone to isolate the subject of a photo, making it easy to remove background elements with little effort. The Portrait mask feature is limited to the Pixelmator Pro software, and it is not available on the standard version of Pixelmator or the Pixelmator app for iOS devices. Pixelmator Pro does support RAW. Genius feature. Hope they find a way to bring it to iOS. This is huge. Masking, at least for me, is a real pain. Many pro masking apps require lots of training and experience for any kind of decent result, and I have yet to find a single consumer solution that’s reliable. Price is right, too. Does it support raw yet? great tool although yet again "PRO" software focusing on iToys and still missing things like colour overlay. I use Focos on my iPhone to mask out the background and then transfer the photo to mobile Pixelmator so I can add another photo as a background. Brilliant feature to software I use daily on my iMac :) (only as a hobby at this point).